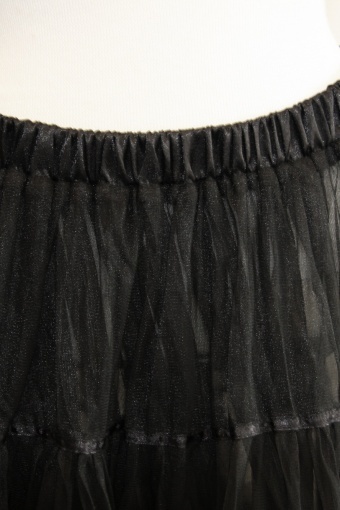 50s retro luxurious soft mesh petticoat black custom made from Wild Rose London. 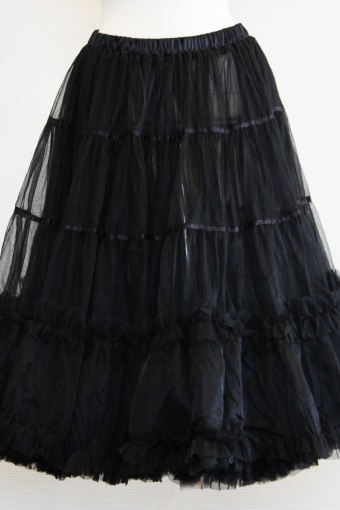 Enjoy a petticoat that can be used as a party dress up skirt on it’s own or a rich under layer skirt giving your dress a princess Cinderella look! Three-layers of soft mesh highlighted with satin trims. An extra 3 layers frills on the bottom layer to give an extra bounce!. It got a satin elasticated waist to fit everyone! Full height is 66 cm / 26 inches. 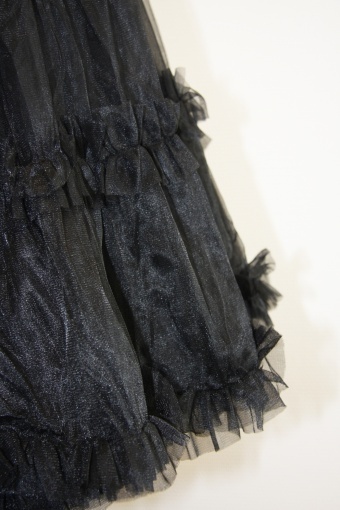 You can also order the petticoat bag to wash it easily!